The Designer Shows was titled sponsored by jewelers, Diamonds Direct and Henri Daussi. The four showcases were from Mason Hosker Bridal, Lovely Bride Charleston with its 'Made with Love' presentation, Emily Kotarski, and Modern Trousseau. 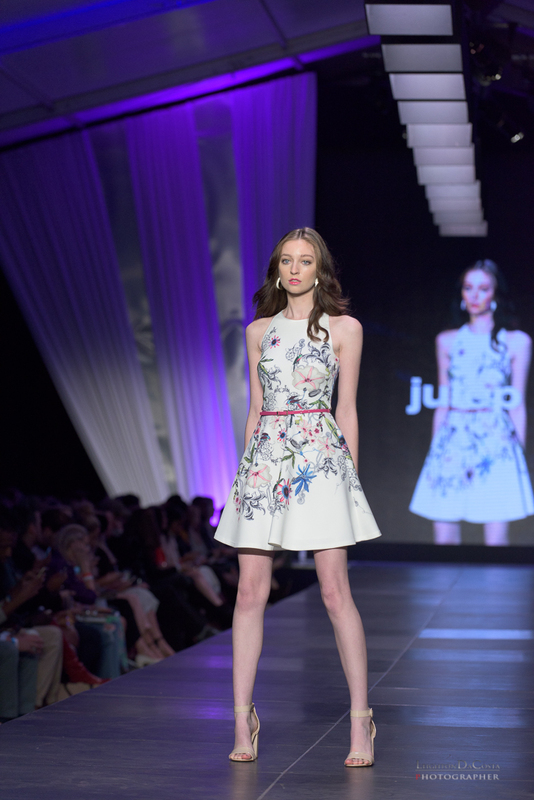 The showcase at Lexus Charleston Fashion Week 2017 for Julep boutique located in Charleston, South Carolina. To view more images from julep's collection and for downloads, view HERE. I've always had a love for fashion regardless of the source or culture, but fashion often follows art, and art has a tendency to be culturally based. The use of colors, lines, designs, materials, curves, textures and other things has as much to do with cultural persuasions as much as it has to do with function. Lace, beads, crochet, and even sequins may be used to create a visual look of relief, but will vary in application based on the region you find them. 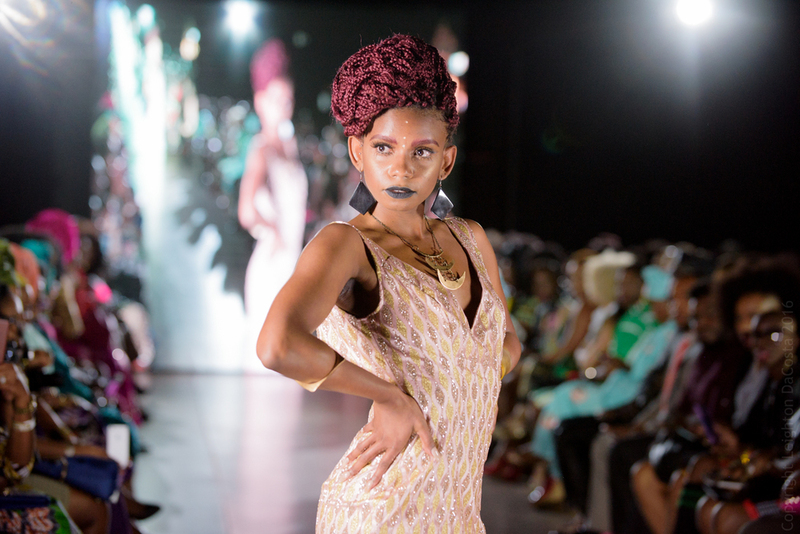 With African fashion, in my experience, the fashions are VERY culturally based. Often designed for function, modern African designers from Nigeria, to Egypt, to South Africa create designs with message. The art is not just in the prints, cuts and designs themselves, but even to the fabric itself. I heard about The Ankara Fashion Show last year, shortly after I first relocated to South Florida. I was very impressed. At that time, it was about 3 years old. Essentially a toddler as far as events go in South Florida, but impressive none the less in an industry where events fade away and quickly lose sponsorship. Unable to attend last year, I was given the opportunity this year, its 5th year, to cover the established designers showcase. I must say, I was completely BLOWN AWAY. This has probably been one of the most FUN shows that I have been to in the past 5 years! The main area, with hundreds of attendees, was standing room only. The venue was the famous Gallery of Amazing Things located in Dania Beach, FL. The posh venue was perfect for the upscale event. 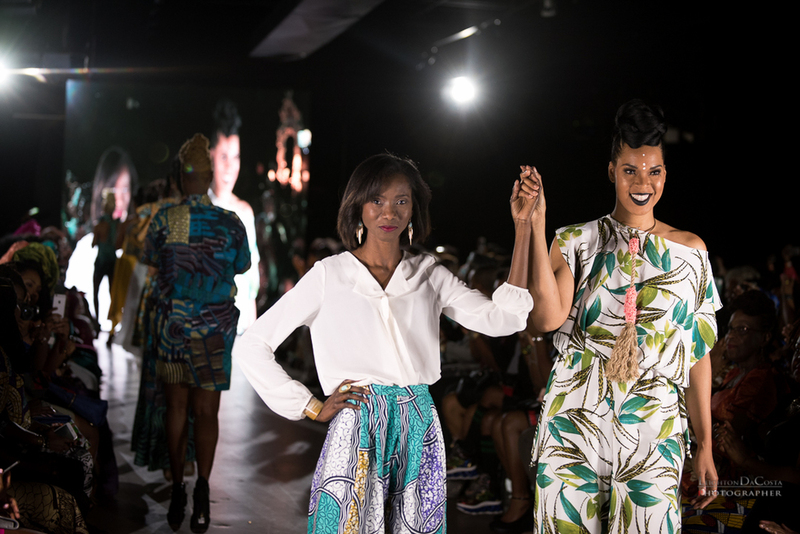 With a niche gallery of vendors, a cocktail area, a featured artist exhibit and a beautiful VIP photography area, the the event rivaled the feel of a show during Mercedes Benz Fashion Week in Miami. Ankara's Host for the 5th year, Chello, makes his entrance. While I did not get a chance to see the entire show, or the after party, what I did get a chance to see, I will share with you. The designs, the designs, the DESIGNS! Were absolutely gorgeous. My favorite was the two-piece pants suit pictured to the right. Simple and elegant, yet complex and functional. 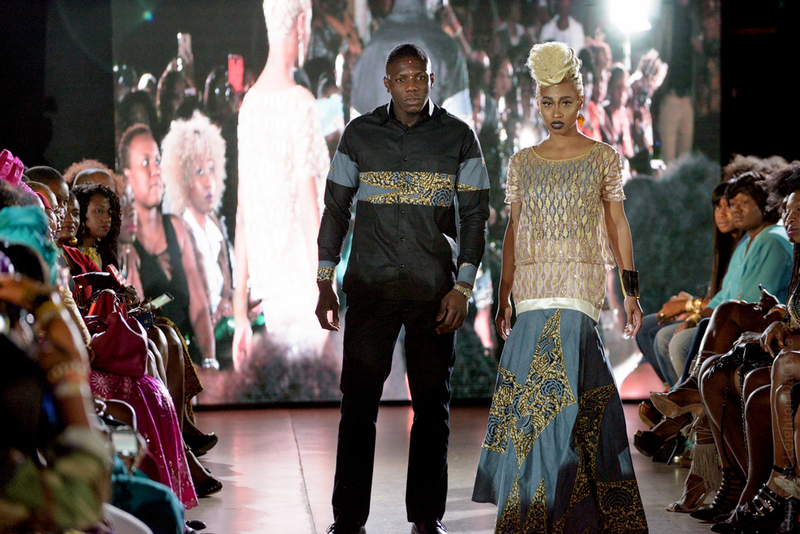 The show was hosted by Marcellus "Chello" Davis, who has been the host for all 5 years of Ankara Miami. Born to perform, he kept the crowd involved between the walks. I loved the DJ. DJ Baboo of Phash entertainment was really spinning the music. 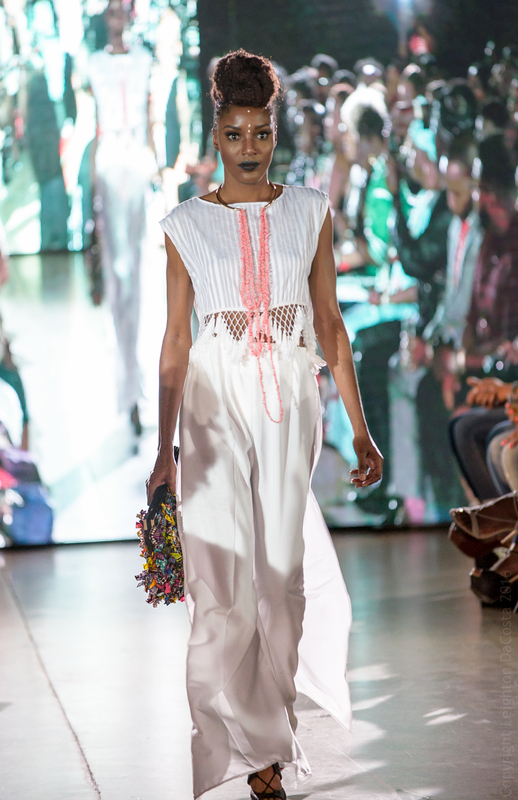 The vibe was so good, that a few models incorporated the beats into their walks which the crowd LOVED. 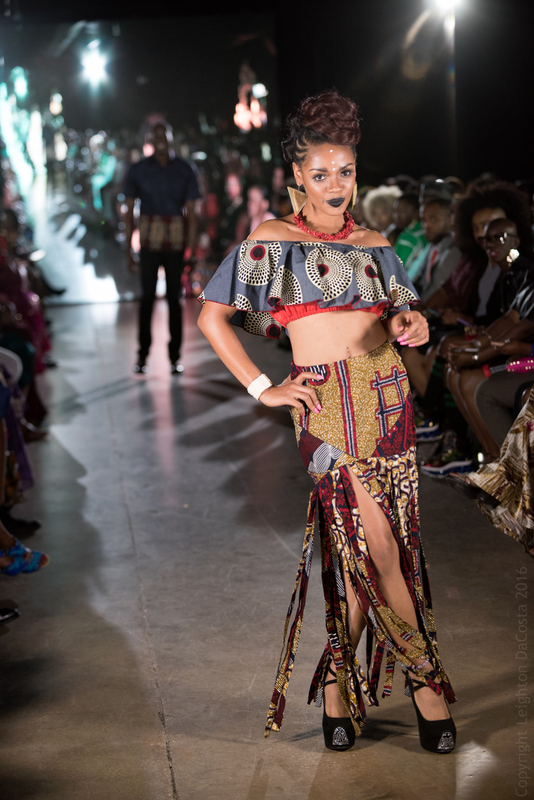 The designs pictured are from Adjanie and Eldior Sodeck Design. I had the pleasure of speaking with one of the featured visual artists, Alfrena Moosa. An artist with a strong spiritual identity, she gets her inspiration from God and the world around her. When I asked, "What would you do if you weren't making visual pieces?" Her answer was, "Sing!" The number one thing that impressed me about this talented artist was that she takes pride in finishing her pieces in under a day. That is powerful! My only regret is that I could not have been involved the entire week with Ankara Miami 2016. This is definitely a great event for people of all cultural backgrounds. I can't wait until next year. ps. I will be uploading more images to the galleries in the next couple of days. Thanks!